For King & Country returns to Winter Jam, the Christian music tour featuring ten bands for ten dollars. Joel Smallbone talked with Dispatch radio about joining Skillet, Jeremy Camp, Francesca Battistelli, Building 429, Family Force 5, Newsong, Veridia, Blanca, About a Mile and speaker Tony Nolan for Winter Jam 2015. “Serendipitous,” is the first word Joel says comes to mind when speaking on the new tour. He then reflects on the inaugural tour three years earlier, starting out on Winter Jam, playing for fans outside and stating that he’s “truly and geniunely excited” about the tour. 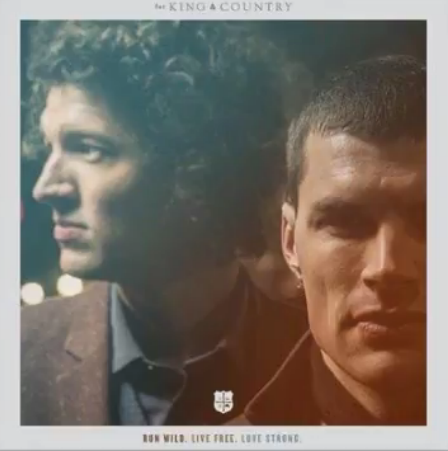 Joel reveals For King & Country opens up the night with “tricks” up their sleeves, “bringing lasers” and his “greatest hope” is that fans want more, want to see a whole show and become a follower of the band. He talks about joining Skillet on stage and the creative process which led to the new album, writing new songs and Luke’s song inspiring them. “The world was his oyster…” Joel begins before drawing a wonderful detail of God’s definition of freedom and how structure gives us true joy. Joel gives the details behind joining Lecrae for “Messengers” and how the partnership developed….and well, much more.